and nonprofit organizations look great on the web. Our sites are designed to be beautiful, functional, and easy to use. We have mastered classic design techniques and study emerging design trends to make each of our sites look unique. We use WordPress — it's the web's top content management system for a reason. Our sites are built to be easy to use for customers and administrators. Keeping your web site fast and secure after the launch is critical. Our full menu of services offers you a variety of options on how involved you want us to be as you move forward. A regional family publication in central Alabama. 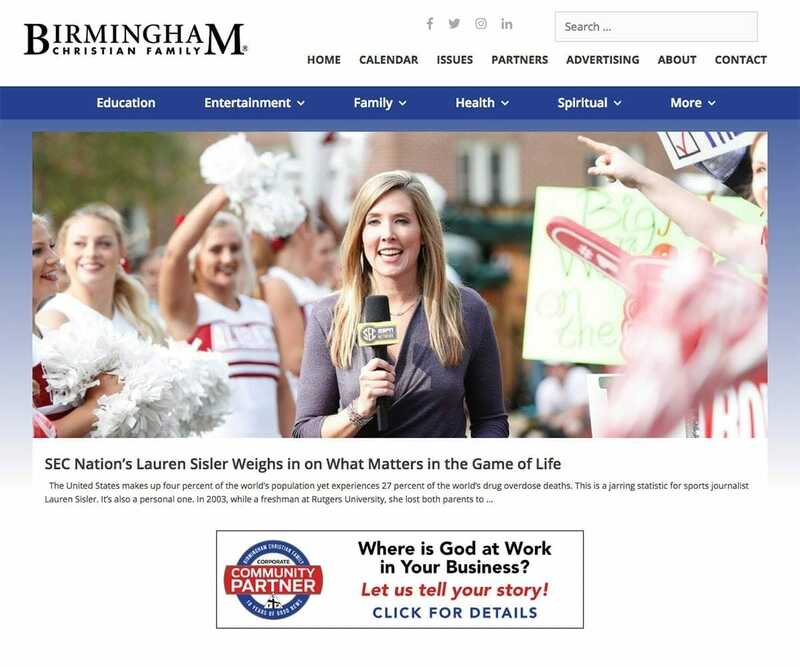 Birmingham Christian Family approached us about rebuilding their website which had not been well designed for audience engagement. In addition to making their articles and photography more prominent, they also wanted to create more effective ad groups to help advertise their sponsors.